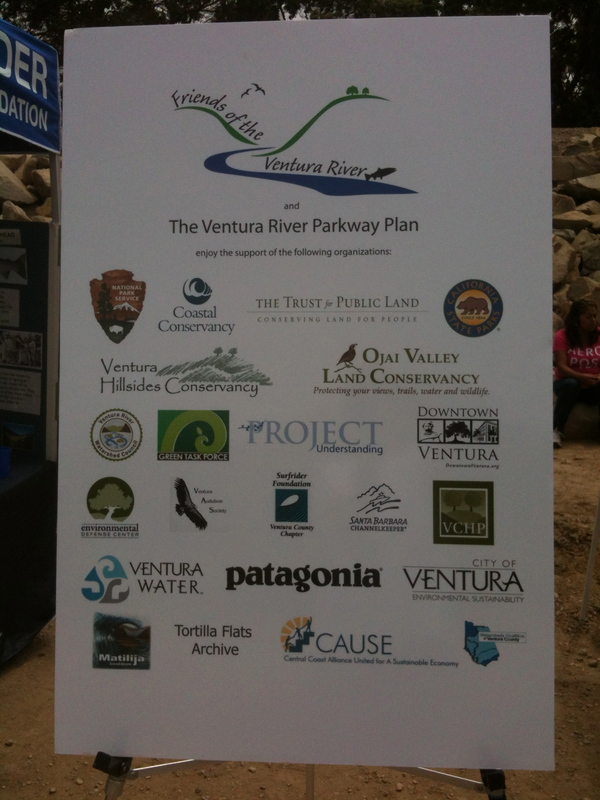 The Friends of the Ventura River Saturday, June 9 ‘Picnic at the River’ event introduced members of the public to the Ventura River Parkway Plan as well as many of the community & governmental organizations working toward making the plan a reality. 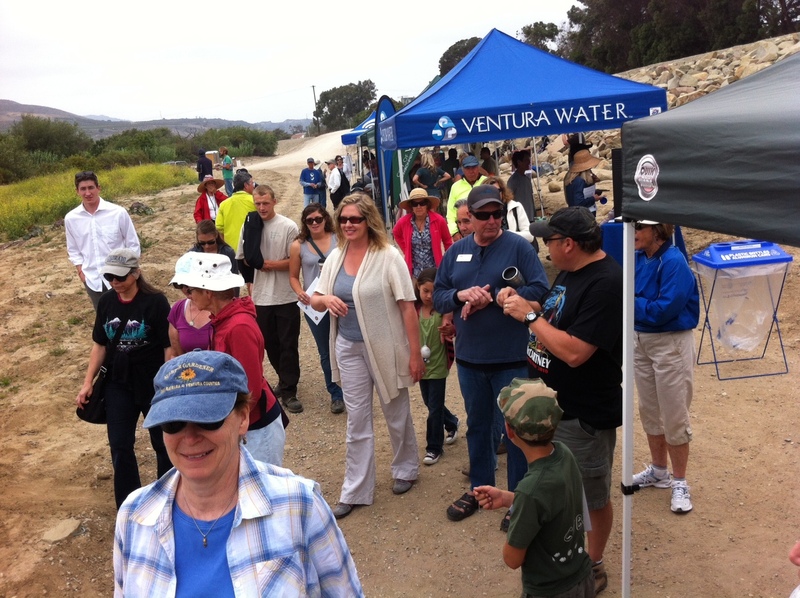 Attendees enjoyed a healthy picnic lunch and a short walk to the river, which included a demonstration on water quality testing and measuring stream flow rate by a member of the Santa Barbara Channelkeeper Stream Team. 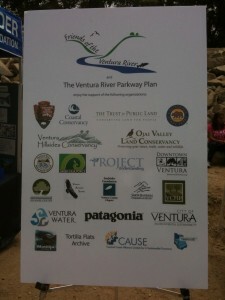 In addition to showcasing the Parkway Vision, information was available on steelhead recovery efforts, the economic & recreational benefits a river parkway would provide to Ventura, the impacts of pollutants on the watershed using the city’s Enviroscape demonstration & social services efforts to assist people living in the riverbed to move into the community. Attendees offered ideas to build upon a trails plan being developed under a technical grant with the National Park Service Rivers, Trails and Conservation Assistance program. The Tortilla Flats Reunion & Mural Project engaged people with wonderful photos of how past residents of Ventura enjoyed the Ventura River when the river was just a short walk from their neighborhood, long before Highway 33 cut the community off from its river.